WTF!? You must be AFU if you think you can LOL your way through life? DEGT DEWD! 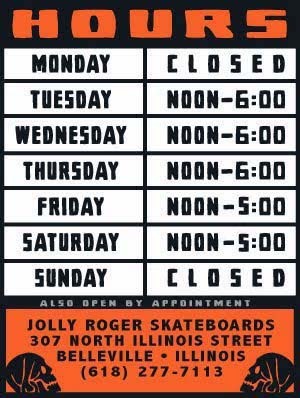 Come in and prove that you know whats up and show us your best cursive writing and you could walk away with a new Jolly Roger deck and your own Jolly Roger signature tee.